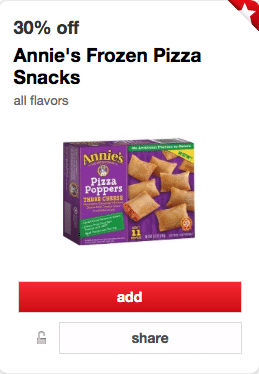 Target just released a nice, high-value 30% off Annie’s frozen pizza snacks Target Cartwheel coupon that makes for cheap pizza snacks! 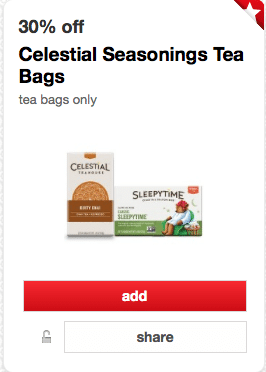 Target just released a new 30% off Celestial Seasonings tea Target Cartwheel coupon that makes for a great deal on their boxes of tea bags. Perfect for the cold whether we’re experiencing here in Michigan. Nice! 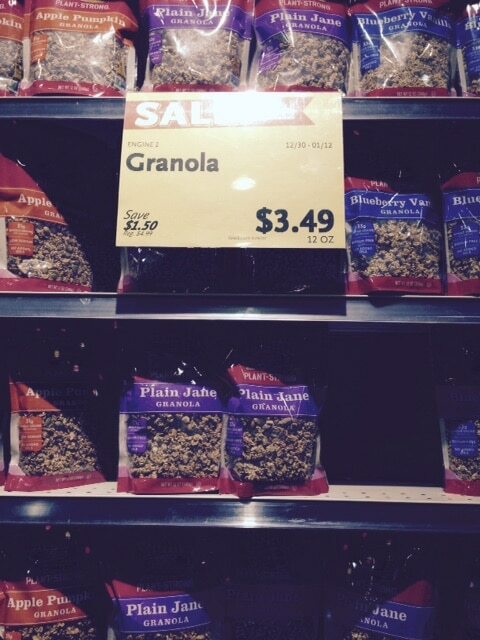 Here’s a new high-value organic produce coupon! 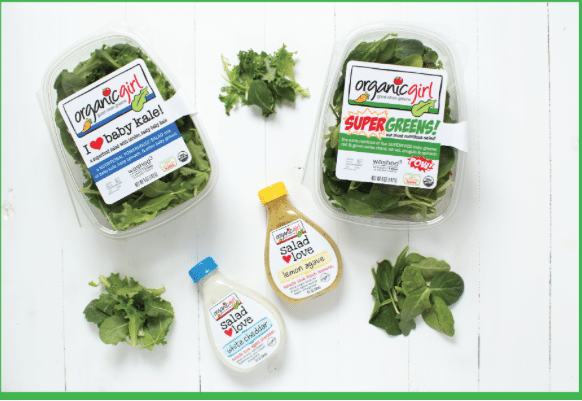 Just go here and enter to win a year’s worth of OrganicGirl salad and dressing you’ll receive a coupon for $2 off any OrganicGirl product! These organic lettuce and dressing products can be found at most stores, including Whole Foods. 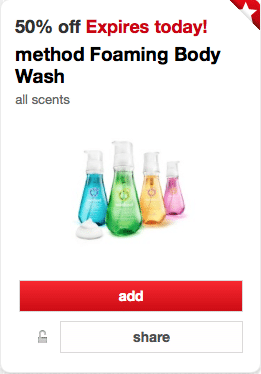 Today only, Target is offering up a new 50% off method foaming body washes Target Cartwheel coupon! Just go here to add it to your app. Yay! 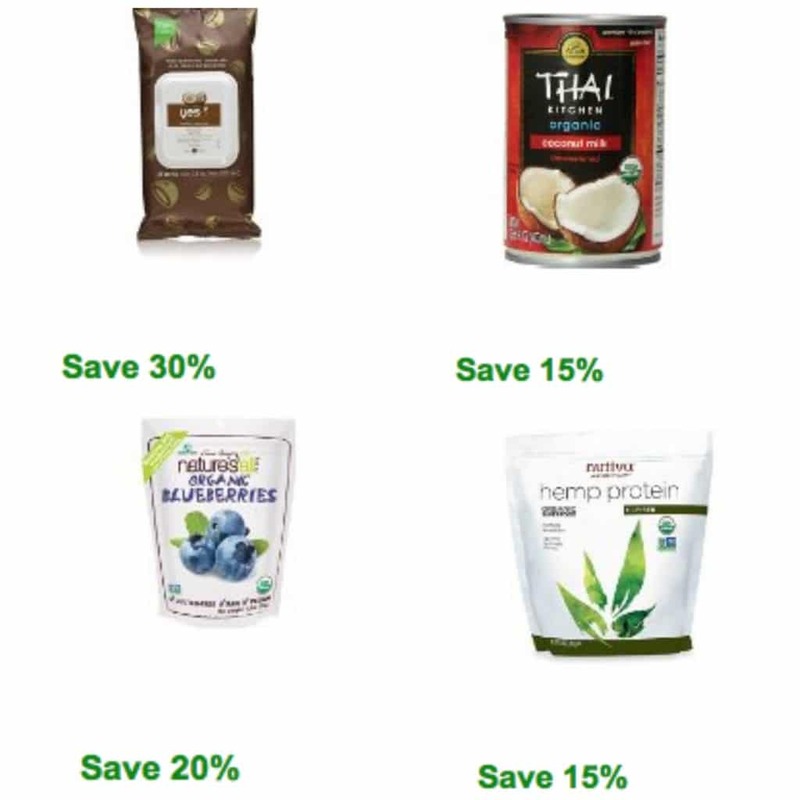 The new Whole Foods coupons are out for the month! 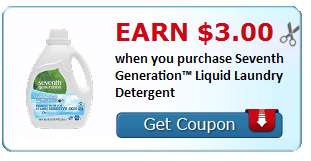 These new printable coupons don’t expire until 3/30. You can also grab a Whole Deal Whole Foods coupon booklet in store that will also have these coupons available. Happy New Year! 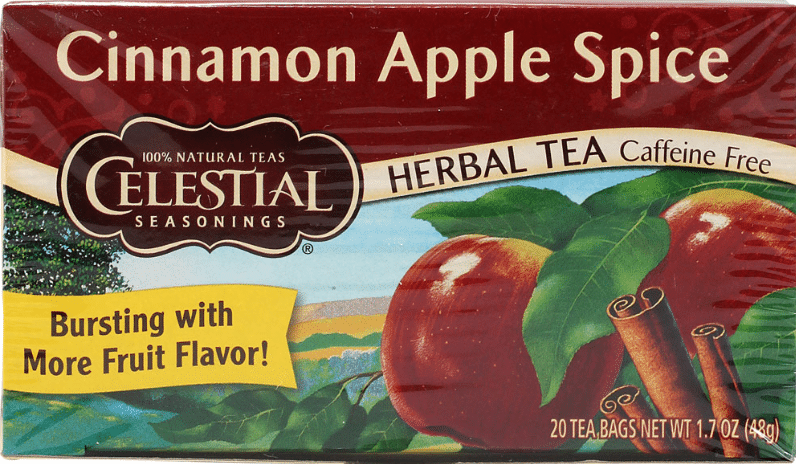 It’s the 1st, which means lots of new natural and organic printable coupons! 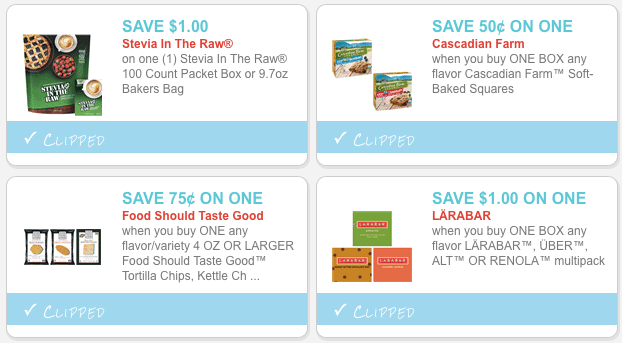 Here’s a list of the latest with direct links to each coupon.